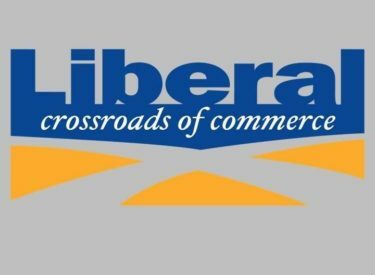 The Liberal City Commission met Tuesday evening and heard from Dustin Ormiston of Hay, Rice, and Associates regarding the 2017 City of Liberal audit. After the presentation, the Commission approved the audit as presented. The Commission tabled taking action on the contract with Hay, Rice, and Associates for the 2018 audit pending review of the contract by legal counsel. The City Commission approved the Charter Ordinance which now puts the City Attorney under direction of the Commission as opposed to the City Manager. The Commission will be responsible for the hiring and contracts for City Attorney. The Commissioners approved the purchase of a Ford F156 to be used by the City Manager for City and personal business, from Foss Ford in the amount of $46,339.95. Also approved was the City’s portion, $14,000, of the cost of lobbying services with Pinegar and Smith who work with the Southwest Kansas Coalition. Garden City and Dodge City also pay an equal amount of $14,000 each . Appointed to the Airport Advisory Board were Charles Posl, Tracy King, Ron Prentice, Matt Fenn, and Nathan Lyddon. The Commission gave the go ahead to apply for grant funding for City Bus, and approved the contract to purchase land from Don Rash to aid in the drainage plan for the City.